Well, the big government party poopers are at it again. First the FDA won’t let us eat raw cookie dough; now the CDC says not to kiss chickens. Is there anything we are still allowed to do? 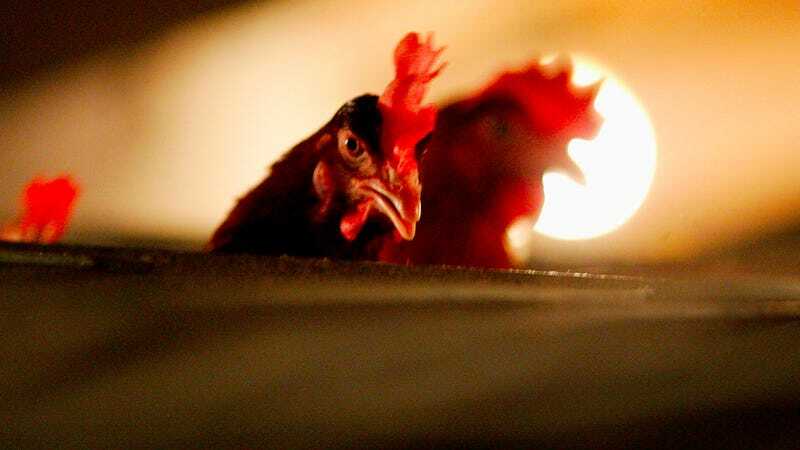 The Washington Post points to a new report from the CDC, warning about the potential public-heath consequences of the current enthusiasm for backyard chickens and the fact that chickens are increasingly treated like pets rather than livestock. Specifically: salmonella outbreaks. Persons need to be aware that healthy poultry can shed Salmonella intermittently, that persons need to wash their hands after contact with live poultry, that young children are at an increased risk for salmonellosis, and that poultry should never be allowed inside the house. More like the Centers for FUN Control.